Zappos, the online shoe and clothing company, is known for having a playful and offbeat company culture. There’s stories of the innovative and at times wacky things the company has done to create a strong business as well as a highly engaged workforce. Great, but how do you translate this into your recognition programs? How do you create something as unique as the culture itself? The answer, find ways to create “playful recognition,” combining traditional peer-to-peer recognition with a bit of pizzazz. Employees can give each other “Zollars” when caught doing something that WOWs them. These colorful play-money bills have no value outside of the Zappos ecosystem, but inside they can be redeemed for items ranging from downright practical (bottle openers, USB hubs, water bottles and even a charcoal grill) to just plain fun (fidget cubes, domino sets and water guns). 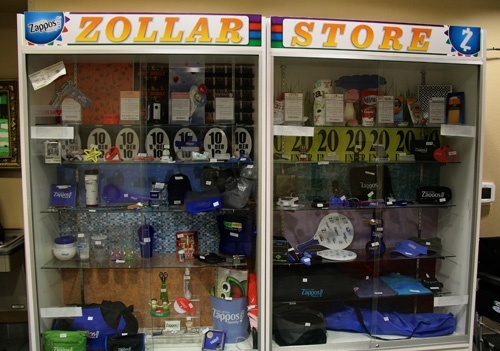 Zollars can even be redeemed toward charitable initiatives like a local food bank. Each month, every employee can give another employee a $50 co-worker bonus. This works along the same lines of the Zollars, but is reserved for bigger WOW moments. Bonus-givers get to choose how they present a certificate to the receiving party - sending it electronically, immaculately decorating it, or even wrapping it around a bottle of celebratory wine - there is no right or wrong way to present the certificate! Based on statements from the co-worker bonuses, a panel chooses a “Hero of the Month” and “Sidekicks.” The Hero of the Month receives their choice of either a $250 Zappos gift card or an experience of their choosing (e.g. jumping off of the Stratosphere tower, the zipline on top of the RIO, a luxury car driving experience) as well as a reserved parking spot, a Zappos Hero cape (yes, a real cape) and pin. The three Sidekicks each receive a reserved parking spot and a $50 Zappos E-gift card and a sidekick cape. These examples show the playfulness of the recognition programs at Zappos. With recognition programs that are so uniquely tied to Zappos, the company has made a difference in motivating, engaging, and ultimately delivering happiness – one Zapponian at a time. Find ways to weave a bit of fun into your recognition programs, both in the design and the delivery. Create recognition programs that work together, building on each other to make that them much better.